Dr Hazell Thompson is a conservation biologist with a PhD in ornithology and more than 25 years’ experience in NGO capacity development, teaching and research in ecology, ornithology and conservation. In his current role as Global Director, Partnership, Capacity and Communities for BirdLife International, he has strategic responsibility for capacity development and coordination across a unique worldwide partnership comprising 119 NGOs. Hazell was fascinated by the natural world from a very early age, having grown up surrounded by nature in Sierra Leone: “I remember coming home from the forest with my pockets full of insects. I wasn’t a conservationist in those days!” He went on to study zoology at the University of Sierra Leone. After graduation, he spent several years teaching biology to secondary school students and trainee teachers, before completing a Masters in zoology. During these formative years, he constantly found himself addressing a key issue (arguably even more relevant today than it was at the time), namely the relationship between the natural world and community livelihoods. His studies into how birds affect agricultural crops sparked his interest in ornithology, a passion that has remained with him to this day. The leader of that expedition, also a distinguished CLP alumnus in his own right, was Gary Allport, the man who introduced Hazell to the delights of birdwatching. The person who suggested that Gary should invite Hazell to join the team was Glyn Davies, then working in Sierra Leone on biological surveys around the Gola Forest. Today, Dr Davies is the Executive Director of Global Programmes at WWF-UK. It was a fruitful collaboration. The project benefited from Hazell’s local expertise and he, in turn, gained a vital insight into the mechanics of survey work, from planning to implementation and beyond. This knowledge later proved invaluable in helping him to design his PhD research, which focused on the endangered white-necked picathartes, a bird that had captured Hazell’s imagination when he first encountered it during that initial survey. Another valuable lesson was that local involvement is crucial if conservation initiatives are to have a genuine impact and achieve lasting results. 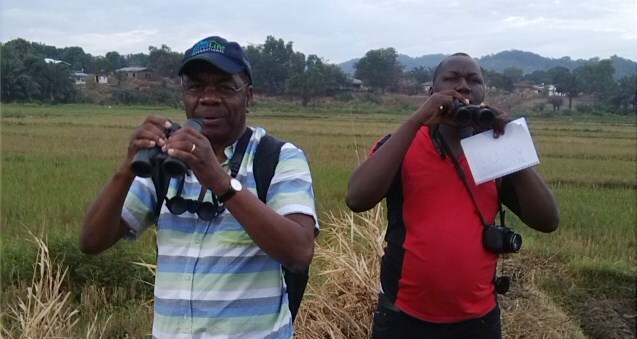 He was guided by this principle in his subsequent work with the Conservation Society of Sierra Leone, BirdLife’s in-country partner. The 1988 project had an equally seismic impact on the Gola Forest and on Hazell’s own career. It focused international attention on the forest’s rich avifauna and paved the way for a bigger programme of work involving the Conservation Society of Sierra Leone, the Sierra Leone government and RSPB. This resulted in Gola forest being designated as a national park, and has culminated in the recent declaration of a transfrontier ‘peace park’ between Liberia and Sierra Leone. The joint visit of the presidents of both countries to Gola Forest in order to declare their intention to create a peace park was, for Hazell, “the pinnacle of my career”. There have been many other high points. 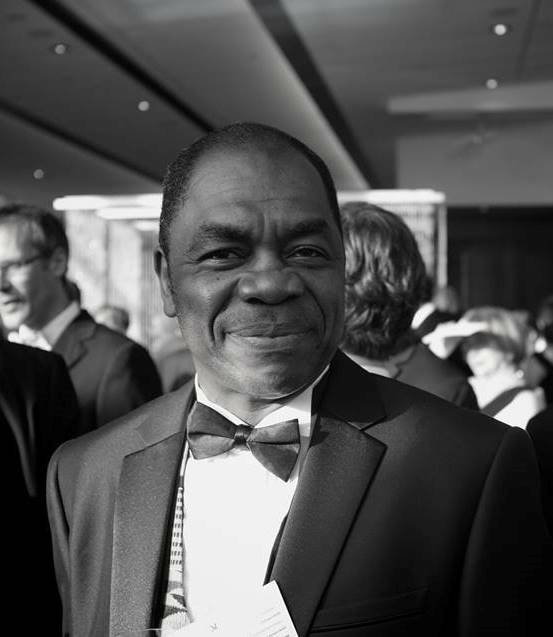 As a zoology lecturer at the University of Sierra Leone, Hazell designed and introduced the first conservation biology course ever taught in his home country. It is still running over 20 years later and has been adopted by other institutions. He remembers using the experience gained during the 1988 survey to underpin the content of the module that he designed. Arguably, Hazell’s biggest achievement was relocating BirdLife International’s Africa Programme from its UK headquarters to Kenya, where he subsequently worked as Regional Director for 10 years, initially with a team of just three staff. By the time he left, he was leading and supporting a team of 25 staff, with offices in Nairobi and Accra, Ghana, and a work programme spanning 23 countries. Most significantly, many of the operations in countries such as Madagascar, which had previously been run by expatriate staff, had been transformed into locally managed national organisations. Hazell conducted the first comprehensive study of his beloved white-necked picathartes in West Africa, highlighting the plight of this weird and wonderful bird, and focusing attention on the need to protect its key populations in West Africa. He was lead author of the International Species Action Plan for this species, and co-author of Important Bird Areas of Sierra Leone. What advice would he give to anyone thinking of embarking on a conservation career today? “Focus on doing what you love, and keep reminding yourself that your work is benefiting everyone else too. Follow your passion and you really can’t go wrong”. The key motivation, for Hazell, is the opportunity to make a significant difference not only to the environment, but also to people’s lives: “One of the greatest joys of my job is being able to help national programmes and organisations – and young people – to become stronger”. One of the greatest joys of my job is being able to help national programmes and organisations – and young people – to become stronger.